Looking for trouble-free mobile storage in Stockport? Then your search is over! 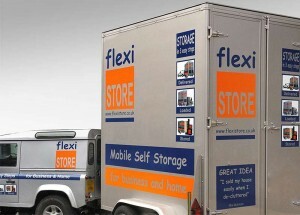 Here at Flexistore we pride ourselves in giving local customers a storage service that will take all the worry and stress out of the equation for all our Stockport customers. There’s no need to hire a vehicle or removal business as we bring our mobile storage containers straight to your door for you to load up. As soon as you’re finished, just give us a call and we’ll come to collect it and bring it to our protected Manchester storage facility, if you want it back again just give us a phone again and we shall deliver it back to a location of your choice. Simple! Why Choose Us for Stockport storage? We offer Stockport storage solutions to residential customers, students and businesses all through the local area. Our mobile storage vaults are reasonably priced, flexible and we provide a complete array of loading supplies. So no matter whether you might be moving property, de-cluttering or are an enterprise needing additional space, we have got you covered with a totally stress-free storage service in Stockport. Our storage industry experts are readily available to answer any queries and offer you the best guidance possible when it comes to Storage, just give us a call on 0161 998 3000 to talk to someone instantaneously. For those who prefer, you can complete one of the contact forms below to either e-mail your enquiry or have a member of our Stockport storage team phone you back or visit our contact page. Undecided how many vaults you require? Simply just use our useful storage estimator to determine how many you require.